Le chapeau épinglé. The hat secured with a pin. 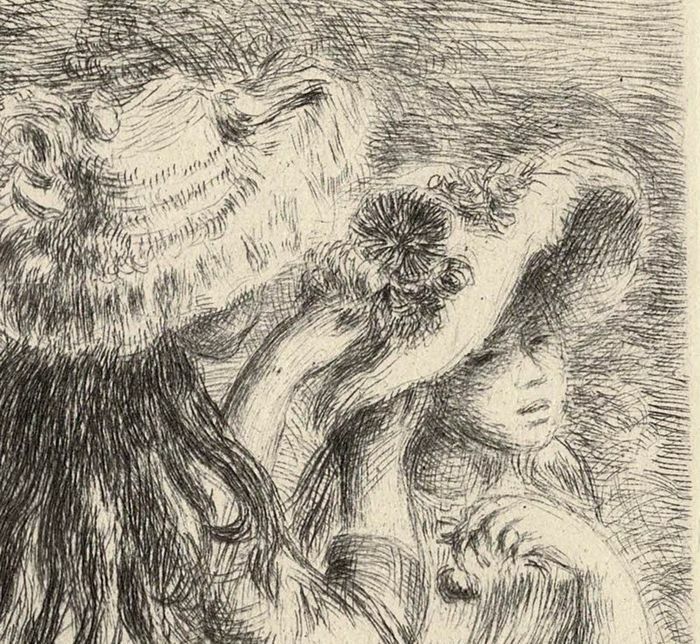 The daughter of Berthe Morisot and her cousin. Second state of two, thirth version. 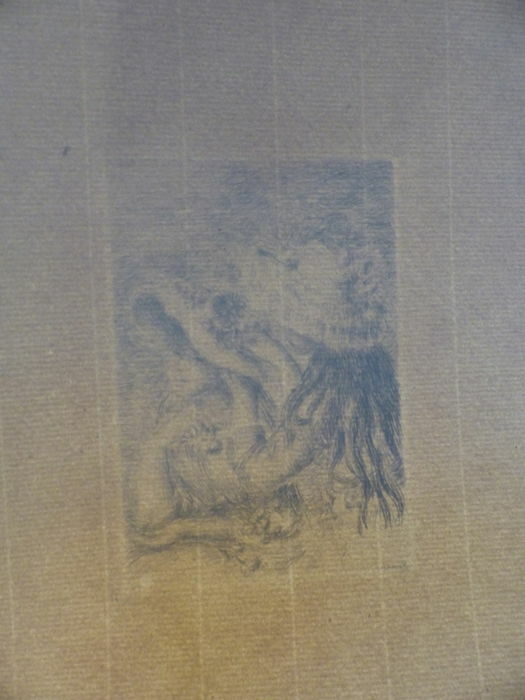 Published in 'La Vie Artistique' edited by Gustave Geffroy, thirth version, Paris, Dentu, 1894. Exemplaire de luxe, in black ink, lifetime impression. 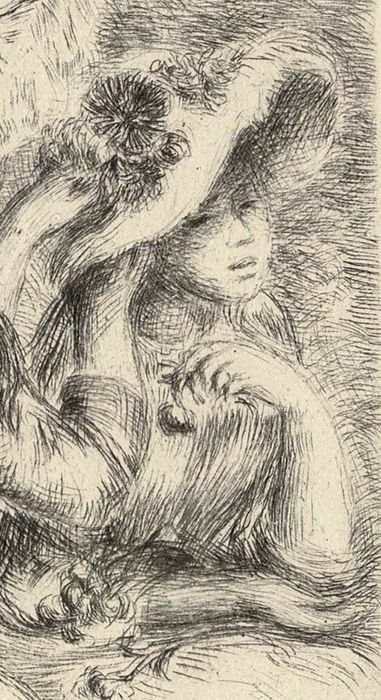 Signed in the plate to the left Renoir. 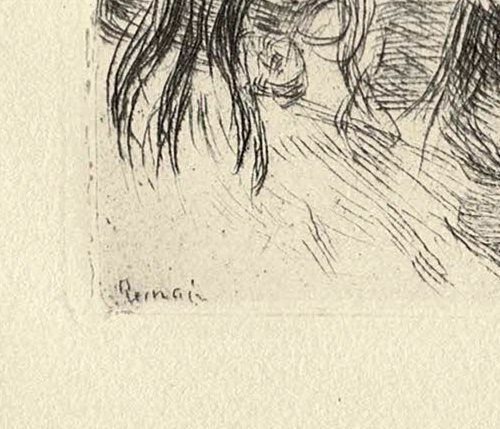 Delteil, L., 1999, Pierre Auguste Renoir n° 8, second state, thirth version. 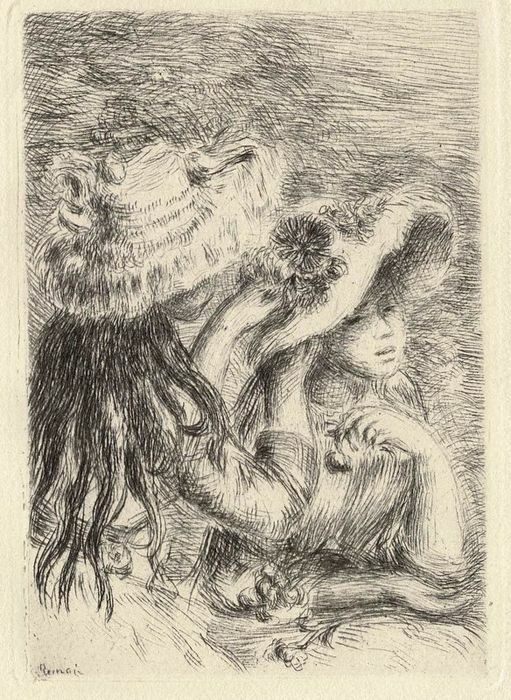 The graphic work of Renoir, Joseph G. Stella n° 8. 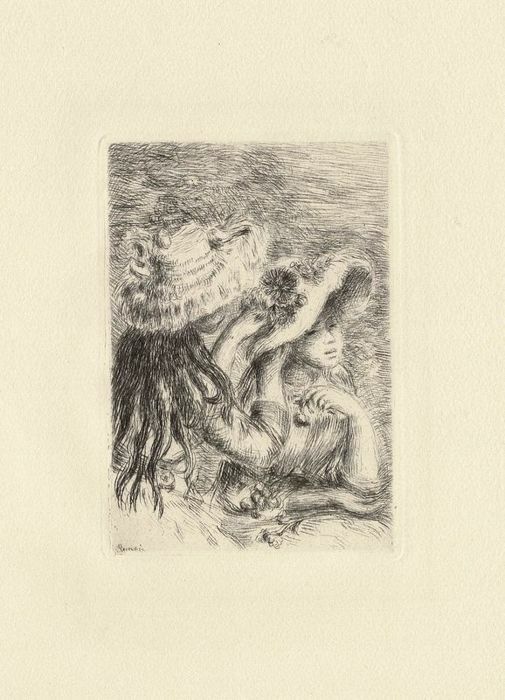 Renoir started etching in 1890, this is one of the most famous etchings of Renoir. Offered in a museum passe partout. 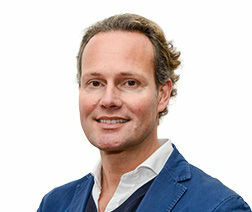 U kunt dit kavel ook ophalen bij de verkoper: Wellen (Vlaanderen), België.